Inspired by the wonderful, watercolour works of Tyrus Brzozowski, which are in turn inspired by old-style Warsaw. 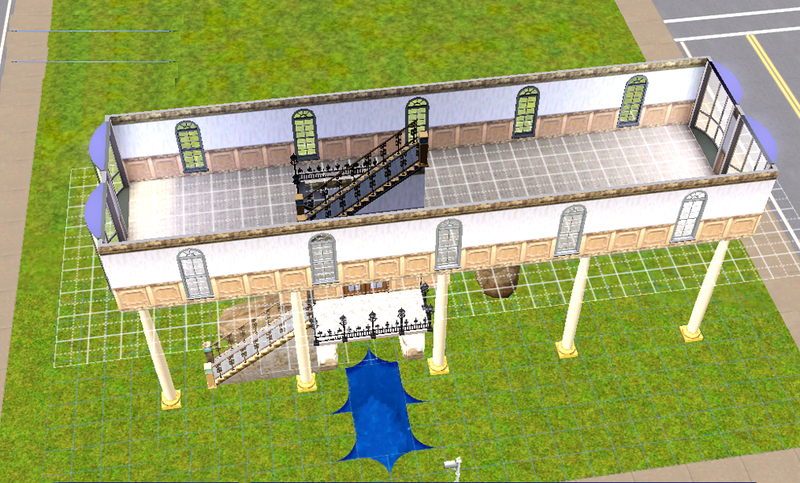 Completely unfurnished - well, there is a dominoes table and chairs down under the arches. The attic is small but usable, and the lot has been playtested. There's a tiny ornamental pool in front, and the rocks and old arches are remnants from some previous dwelling on the site. There is a lift as well as stairs. This is a 28 x 12 residential lot, made with all EPs and SPs installed. Of course, it would fit onto any larger lot size. I may have used a few decrapified Store items here. If you don't have them, your game will simply load some other (usually decorative) item. I have also used a column-arch by Luna. luna_arcoCallejon. 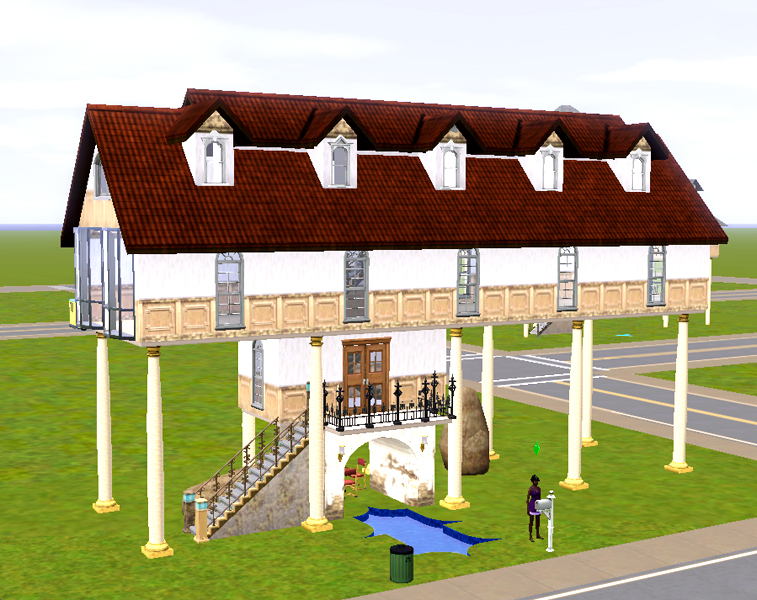 Since these are difficult to find now Luna's site is no longer maintained, I have left that in the Sims3pack. You can also download the Luna column-arch here if there's any difficulty with it.